Since its beginnings in 1922 in Kansas City, Marley continuously developed its position as the world’s only full line cooling tower manufacturer. 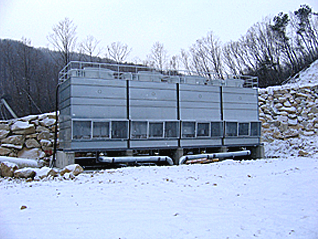 SPX Corporation acquired Marley Cooling Tower in 2001—in 2005 Marley’s name was changed to SPX Cooling Technologies, Inc.
For more than 50 years the Marley NC Class has set the standard for high-efficiency and low-maintenance cooling tower versatility. Available as either a factory-assembled or a field-erected installation, the Marley NC Class features state-of-the-art components in a time-tested tower design that has been proven effective in thousands of installations worldwide.